Dynarex Piston Enteral Feeding Syringe offers user friendly features such as finger rests and thumb ring that provide more control. The precision craften O-ring ensures a postive seal. 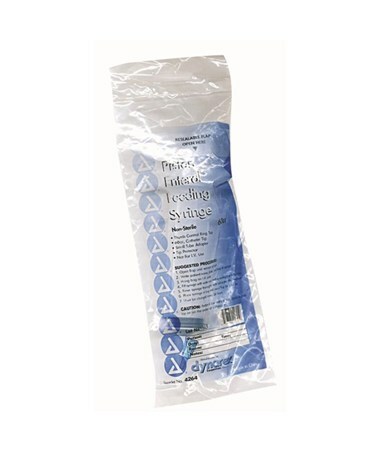 Dynarex Non-Sterile Piston Enteral Feeding Syringe has the convenience of being packed in poly bags which can be hung from an IV pole making handling simplified and effecient.